In letters sent to pilots earlier this month, Jet Airways proposed they either take 30-50 per cent salary and stipend cuts, or quit. 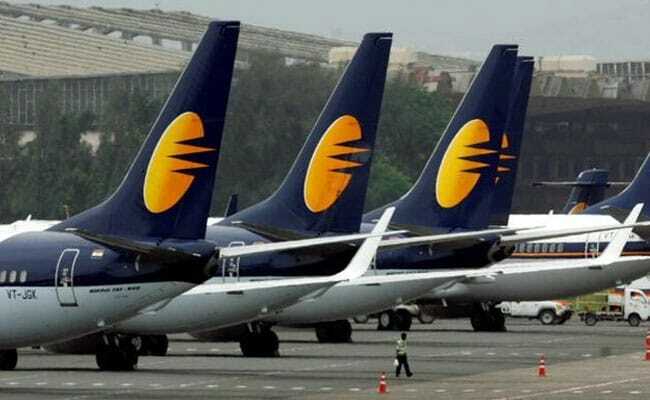 New Delhi: Jet Airways, India's second-largest airline by market share, plans to slash pay of dozens of its junior pilots by as much as 50 per cent in a cost-cutting move that could impact up to 400 pilots, according to two sources and letters seen by Reuters. The airline, in letters sent to pilots earlier this month, has proposed they either take 30-50 per cent salary and stipend cuts, or quit, saying it was forced to take such steps as it was "intensely focused on fleet and network rationalisation". The measures are to be implemented from August 1. "Certain developments in the market, including that of the Gulf region, as well as our continued efforts to enhance internal efficiencies, has resulted in the review of our network, fleet and crew utilisation," a Jet Airways spokesman said in an emailed statement. The spokesman said it has made some interim changes to its crew work patterns "which will be reviewed in future, in line with network growth". Jet Airways has struggled to keep a tight lid on costs in one of the world's fastest-growing aviation markets where competition from low-cost carriers such as InterGlobe Aviation's IndiGo and SpiceJet is on the rise and is putting it under pressure. While India's domestic passenger traffic rose 22 per cent in the fiscal year ended March 31, Jet Airways saw only 5 per cent growth and its market share fell to 18 per cent at the end of June from about 23 per cent two years ago, industry data showed. The Indian airline, partly-owned by Etihad Airways of the United Arab Emirates, is also facing headwinds in international markets due to economic weakness in the oil-rich Gulf region that has affected air travel and is hurting its revenues. In two letters written by the company to pilots and reviewed by Reuters, the airline told the pilots to accept the new lower salary by end of July, or look for other opportunities. "We have had to revisit our manpower requirements," said the letters sent out by the airline. "Your support and understanding in the matter will play a major contribution in preserving the health of the company, and our position in the industry." In a letter sent to a first officer, Jet asked the pilot to take 10 days off each month "with the appropriate remuneration", resulting in a 30 per cent cut as an interim measure to help the company balance its cost structure. "In case you do not wish to accept the above terms, and desire to seek alternate opportunities, within the industry or outside... we shall assist you by facilitating the necessary formalities," the letter said. "We will ask (the company) on what basis they have taken this decision ... eventually we are answerable to the pilots," said D Balaraman, president of the National Aviator's Guild, a union representing Jet Airways pilots. The cost cutting move comes amid local media reports that Jet is looking to sub-lease its fleet of 18 ATR aircraft to new regional carrier TruJet to raise funds. Jet did not comment on the reports to sub-lease the planes. It also did not elaborate on how much it would save from the planned pilot pay reduction measures. Kapil Kaul, the South Asia head of aviation research firm CAPA, said exiting ATR operations, reducing fleet complexity and rationalizing its pilot headcount would save Jet large sums.